Rachel May, PhD, MFA, is the author of An American Quilt: Unfolding a Story of Family and Slavery, published May 1, 2018, with Pegasus Books, and favorably reviewed in The New Yorker, Kirkus, Booklist (starred), The Boston Globe, Publisher's Weekly, and elsewhere. She's also published The Benedictines, a novel, The Experiments: A Legend in Pictures and Words, sewn images and short fiction, and Quilting with a Modern Slant, which was named a Best Book of 2014 by Library Journal & Amazon.com and favorably reviewed in The Chicago Tribune, Publisher's Weekly, The Library Journal (starred), The LA Times, The Providence Journal, and MarthaStewartLiving.com. Her embroidered illustrations accompany two novellas published by Jaded Ibis Press and have been shown in galleries in the midwest. Her writing has recently appeared or is forthcoming in Assay: A Journal of Nonfiction Studies, Michigan Quarterly Review, The Volta, LARB, Cream City Review, Word for/Word, Indiana Review, The Literary Review, Meridian, Sleepingfish, and other journals. 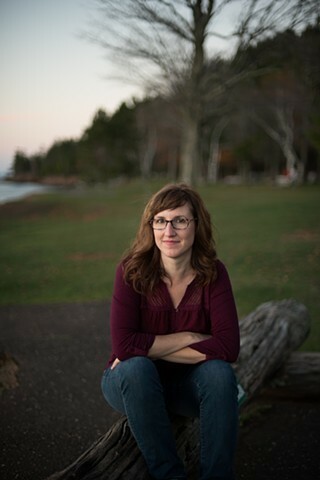 She's been a resident and fellow at The Vermont Studio Center, the VCCA, and The Millay Colony, and is an Assistant Professor of English at Northern Michigan University.